I love the magical winter scenes you find in snow globes: a little winter cottage, a truck carrying home a freshly cut Christmas tree, or a snowman, etc. 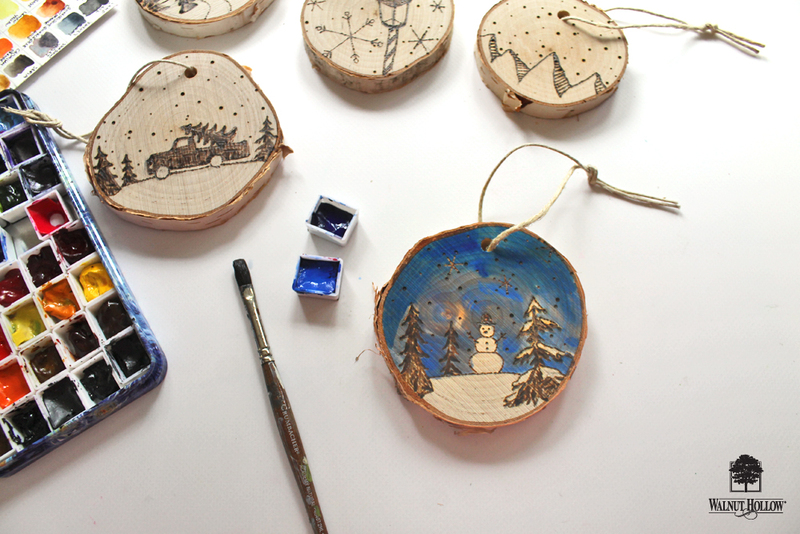 Today’s I’ll be showing you how to make wood burned ornaments inspired by those winter-y scenes! 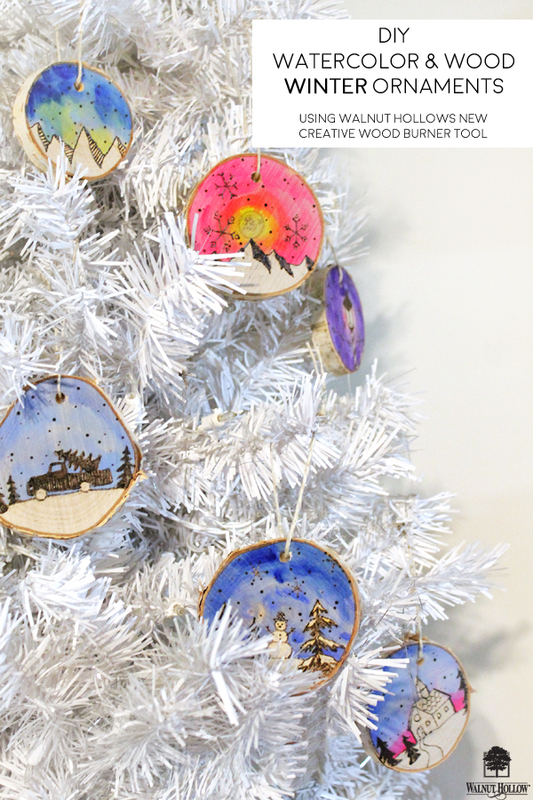 Begin by deciding what winter scenes you want to capture on your ornaments! I knew that I definitely wanted snowy mountains, a snowman, a lamp post, a church, and a truck for mine. 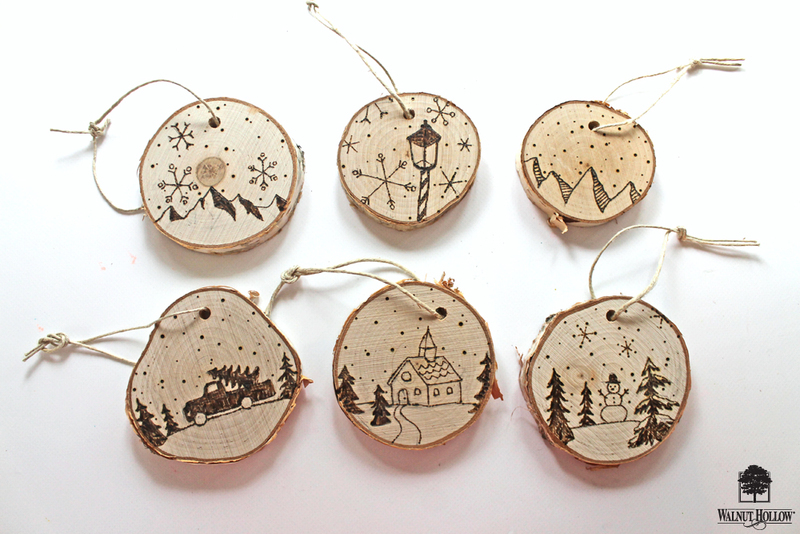 Use a pencil to sketch the scenes out onto the Birch Ornaments. 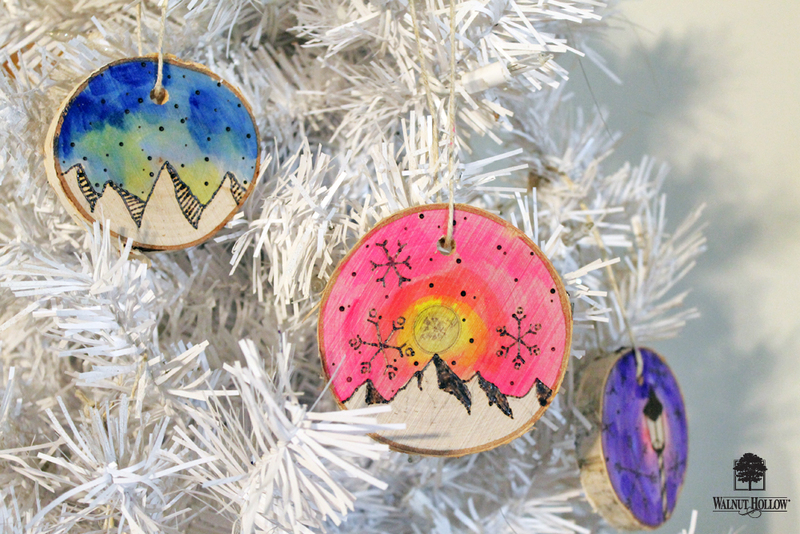 Now it’s time to burn your designs into the ornaments! Walnut Hollow’s new Creative Woodburner tool comes with 4 interchangeable nichrome wire tips for more precise burning. I used the Ball Point Tip for most of the designs, but I also found the Universal Shading Point made fantastic evergreen trees. The points heat up and cool down faster than any of Walnut Hollow’s other tools, meaning that you only have to wait a few seconds before switching tips! 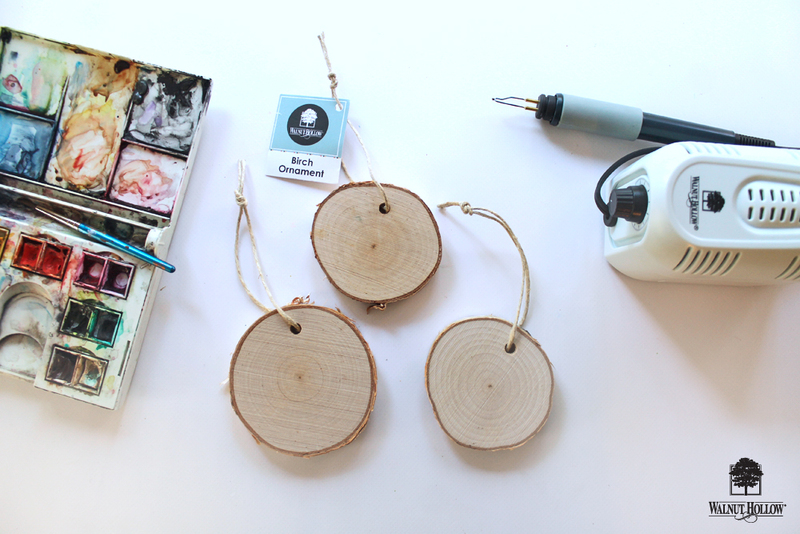 The new Creative Woodburner Tool also includes an in depth instruction and inspiration booklet inside the package, so it’s a fantastic resource for learning how to use the tool. Time to paint! Using watercolors, paint over the skies of your scenes. I imagine mine to be snowy/starry night scenes. 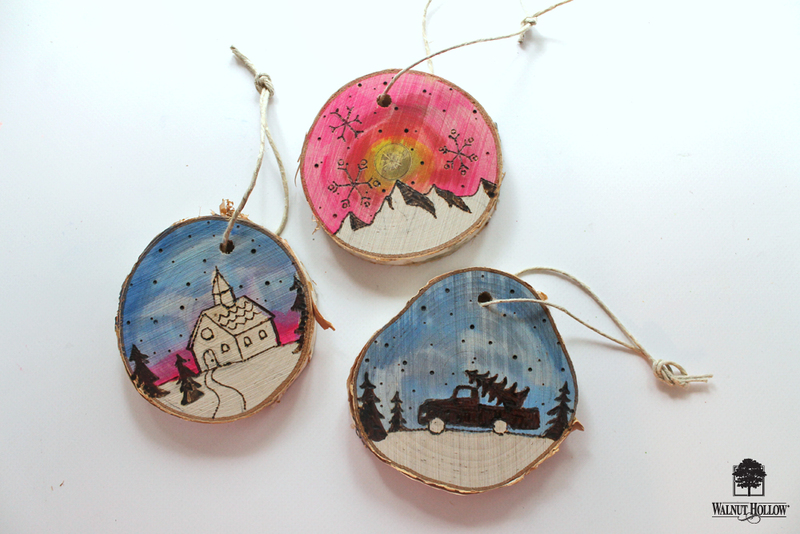 The watercolors look darker when wet, but they lighten up a bit as they dry in wood. I love how the woodgrain shows through the watercolors like they wood a stain. 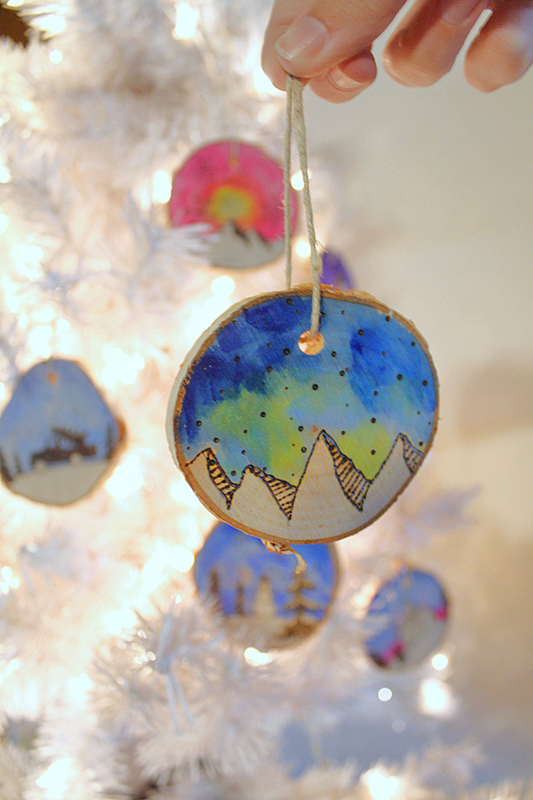 Once the paint is dry you’re ready to hang up your ornaments! 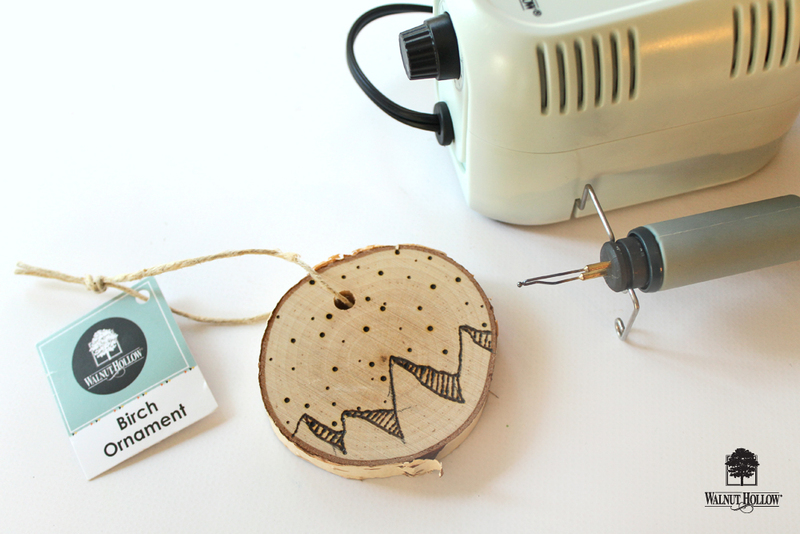 You can find the new Creative Woodburner Tool on Walnut Hollow’s website here, OR stop by your local Joann Stores to pick up the new tool!